This is one trend we're loving. When it comes to getting married in Ireland, one of the massive headaches is the weather and whether or not it will behave itself. It might pour rain and even if you manage to escape the ceremony without a downpour, you don't want to be standing there with your teeth chattering, owing to the flimsy fabric of your dream dress. Anyway, while we can't do anything about it raining cats and dogs, there is a way you can stay warm (and stylish at the same time). It's all about the cape for winter 2017 and if you don't believe us, the below images will change your mind. 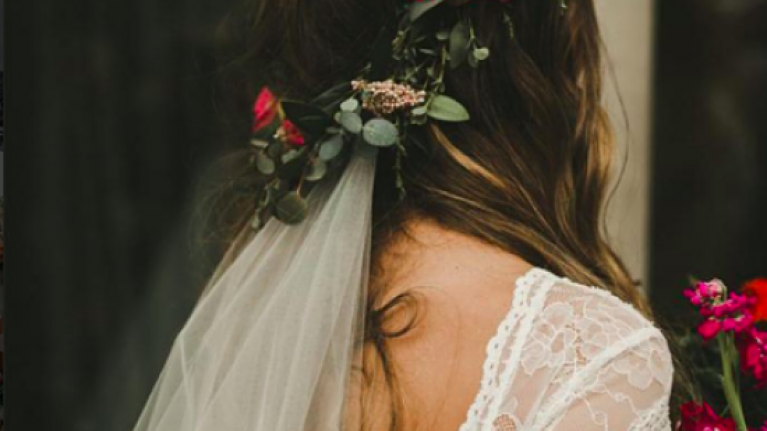 However, if you're still not convinced, Megan Ziems who founded stunning bridal label Grace Loves Lace (with one of their piece reigning supreme as the most popular wedding dress on Pinterest) has some advice. In conversation with Who What Wear, Megan said that it can really help brides to have 'versatility' and by having a cape on hand, you can create multiple looks for photo opportunities etc. I mean, who needs two dresses when you have a cape? This is the 'WINNIE' courtesy of Grace Loves Lace. These are other cape designs spotted on Instagram, major bridal inspiration this way. There's also the option to go for detachable cape sleeves, depending on what dress/designer you use.